Bangladesh Ansar VDP job circular has been published on 13 August, 2017 daily porthom alo. Every Eligible and Interested candidate can join Bangladesh Ansar Battalion by Candidates must attend physical and written examinations at their stadium or their specific headquarters exam date within 10/09/2017 to 27/09/2017. d. Educational Qualification: Minimum SSC or Equivalent passed from any Reputed Education Board. b. 49.895KG(110 Pound) for General and 47.173 KG(104 Pound) for Ethnic. c. Chest 8.28-86.36 CM (32-34 Inch) for Genral and 76.2-81.28cm (30-32inch) for Ethnic. Tags: www ansarvdp gov bd. 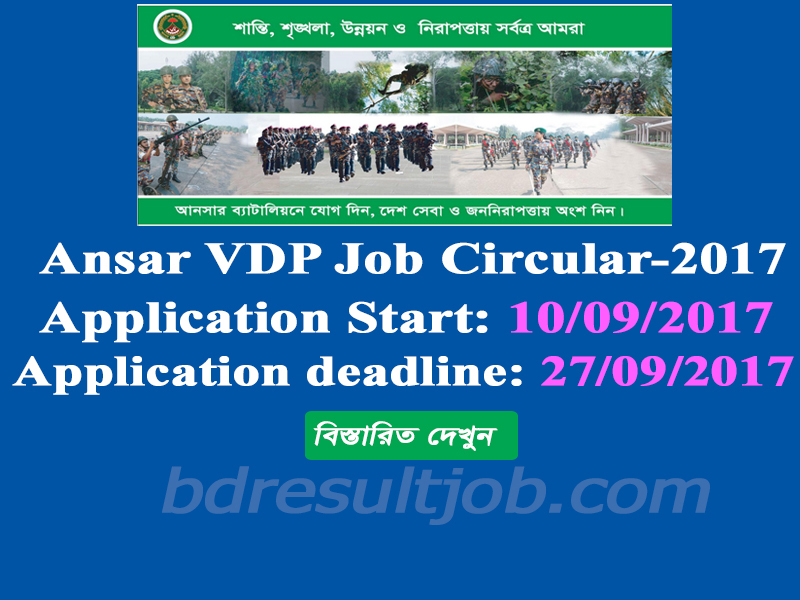 ansar vdp job circular 2017. www ansar vdp com. www ansarvdp gov bd job circular. ansar vdp. www-ansar vdp-gov-bd. bangladesh ansar vdp job circular 2017. bangladesh ansar vdp. www ansarvdp com. Ansar vdp gov bd. www ansar vdp gov bd com. ansar vdp 2017. ansarvdp gov bd. www ansar vdp gov bd. ansar vdp com. www bangladesh ansar vdp gov bd. BANGLADESH ANSAR. ansar vdp training. www ansarvdp. 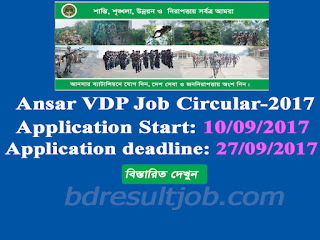 ansar vdp circular 2017.